My Baggage helps students transport their luggage to and from university quickly, efficiently and affordably. We offer a generous 30kg weight allowance per item, to provide value for money and ensure that students can bring everything they need. Packing all your things to bring to university should be an Olympic sport. It’s an arduous task. With clothes, books, electronics, toiletries and more to sort through, your university packing list gets longer and longer – and and the weight of your luggage starts to increase. For most students going to university away from home, this huge amount of luggage can be problematic. Travelling with heavy suitcases on a bus or train is too inconvenient, and if you’re going to university by plane, sending your luggage with an airline can put a considerable dent in your finances – as airline excess baggage fees aren’t exactly cheap. My Baggage is a student shipping service that can transport your baggage anywhere, quickly, safely and at a great low cost. We offer door to door collection and delivery of your luggage and we provide full online tracking and SMS and email notifications. 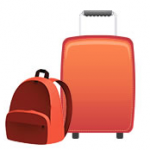 Almost 30,000 students use My Baggage to send their belongings to and from university. We’re the No.1 Student Shipping Company for students in the UK and worldwide, as we ship to 200 countries. The great thing about My Baggage is that you get a very generous 30kg weight allowance per item you send. And you can send as many items as you like. This weight is almost double the allowance provided by airlines and is up to half the price. Our prices start at just £16.99. This means you can bring every single one of your belongings to university, without worrying about leaving anything behind. We recommend sending your luggage in a suitcase or strong cardboard box. Your luggage does not need to be an exact size. However, if your luggage is too big, you may not be able to proceed with your booking online, but you can contact us to get a custom quote. You can check the size of your luggage with our Size Checker. As My Baggage are the student shipping experts, we ensure that our prices match a student budget. 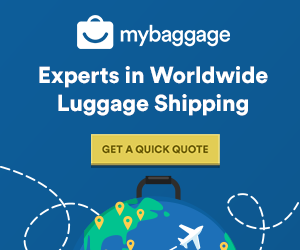 We have great low prices on baggage shipping within the UK and worldwide and you can get a quote any time.